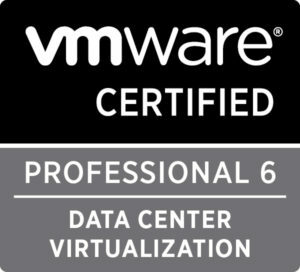 POC – Vulnerability found ! 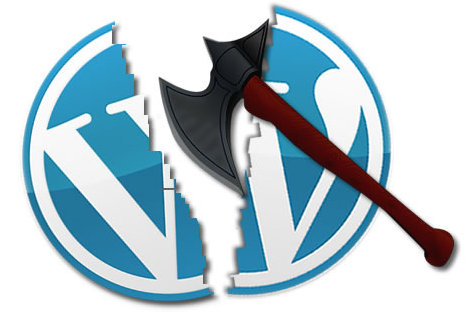 Operation WTF – WordPress Tiny flaws end up on Sunday the 15th of May 2016 after lines of codes were fixed up from many WordPress plugins. We can also notice how dangerous it is if a proper audit is not carried out on WordPress before putting a website to production. Here is another example where the /etc/passwd was retrieved by hackers Mauritius. Patches were also written to fix up bugs. 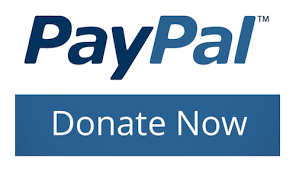 However, it is to be noted that for security reasons patches are not disclosed for the time being as at cyberstorm.mu we follow ethical rules and the aim to stay within the grey line is of paramount importance. If you have been following the recent activities of cyberstorm.mu those days, you would surely notice a new hackathon organized by the same team – Operation WTF with the aim to hack around WordPress security vulnerabilities. The event happened at Pereybere. Though we did not have any network connection, the guys started with the setting up of the network cables. We used the Emtel WIFI Plus. The team set up the Antenna on top of the building as we did have a DNS issue. We then used a router with OpenWRT to boost our connection and a WIFI extender to boost the signal. At the time I am writing this article, the hackathon is still going on. Keep in touch to follow our activities. We did it! The hackathon in Mauritius with title Operation SAD – Search and Destroy is a success. Who are the cyberstorm.mu winning team? 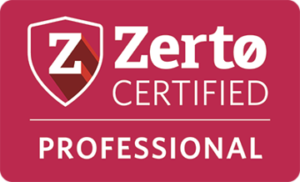 Well, its a group of Linux developers residing in Mauritius who are happily improving the security of Linux An audit is first performed on the Linux platform and several security vulnerabilities are fixed. That is how the name “Search and Destroy” gets its name. It was proudly hosted by ISVTEC, a Linux firm operating in Mauritius. A debrief session was carried out by Logan after the patches were submitted. I would sincerely thank Cyril and of course the staff of ISVTEC who has welcomed us since the very first day of the Hackathon. Indeed, an immense success from the winning team. As announced some days back, cyberstorm Mauritius team will be at Flying DODO Bagatelle conference room as from 13:00 hrs to give a resume about the work done. We have the pleasure to hear from Avinash Meetoo, CEO of Knowledge7 for a superb speech. 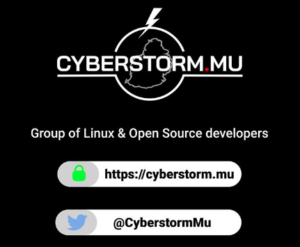 Cyberstorm.mu, a rebranded name from another group due to trademark issue is the first Linux and Open source developers team in Mauritius. A hackathon with the theme – SAD “Search and Destroy” will be organized for 2 consecutive days. 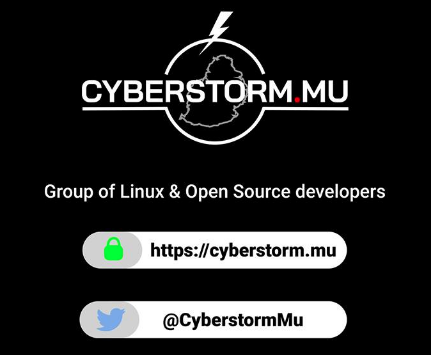 Members of Cyberstorm Mauritius will have to fix up the maximum possible bugs on several opensource software including OpenSUSE Linuxther linux distributions. It takes place on Thurday 28th and Friday 29th of April 2016 hosted by ISVTEC at its own office. Operation S.A.D nick named, search and destroy, is the first Linux hackathon we will be holding in Mauritius to massively fix some security issues in some Opensource software right now, we’ll be dealing with some crypto code which many enterprise, users and embedded appliances are relying upon daily. “In June of 1999, OpenBSD held the first hackathon. In the months leading up to this, either Theo or Niels Provos had coined this new word “hackathon”. “Here also we wish to adhere to that same idea of a hackathon. Is everybody invited in a Hackathon? Next time somebody says that we didn’t invite the whole world to participate in the hackathon, you can reference to this. Ever wondered how many lines of code you can write if you need to focus on getting others up to speed? If you are a developer and reading this, you will know, this is not about your technical knowledge, but mostly about the entire procedures to get code from nothing up to production. There will be the time for the walk throughs also, but that will be for another project. Why an event when no one is invited to participate? Not at all, on the 30th of April, we shall have a presentation openned to the public, to talk a bit about what we did during the hackathon, how opensource software development contribution works in general AND forget not, the new changes that have been submitted upstream. We will bring this in a form that Mauritian tech people can understand it. Yes, despite there are rumors by some people who do not quite understand how a hackathon works, we are actually offering some prizes to 3 people who can actually solve a set of challenge we are making. The top 3 highschool students who manages to do them based on our criteria set, will get a small walk-through with us first, and will get each a seat for the hackathon. We are targeting youngsters here, but the learning process, that skillset or instinct needed to make someone a hacker needs to be built with passion and the perfect age is when one is young enough. Who is invited on the 30th? 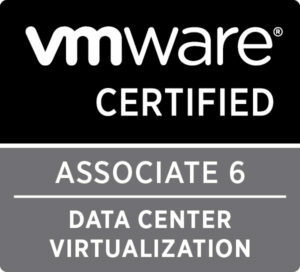 Members of the IT community in Mauritius or elsewhere is invited to join in on Saturday the 30th of April. We shall update you with the correct information as we go along.